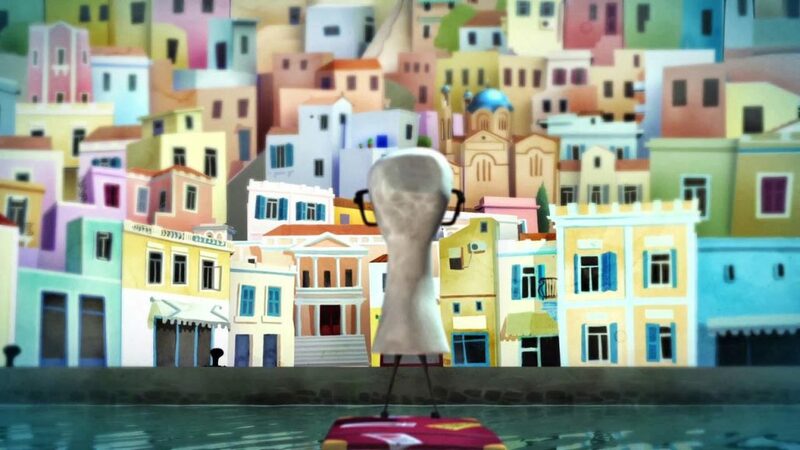 Screenings, tributes to other international festivals, workshops, media literacy activities for children and adults, all kinds of parallel events and of course parties too, make up the festival’s full agenda. This year, the festival is introducing an Agora- with the aim of being a place for professional networking, a hub of creativity and synergy for professionals in the field. 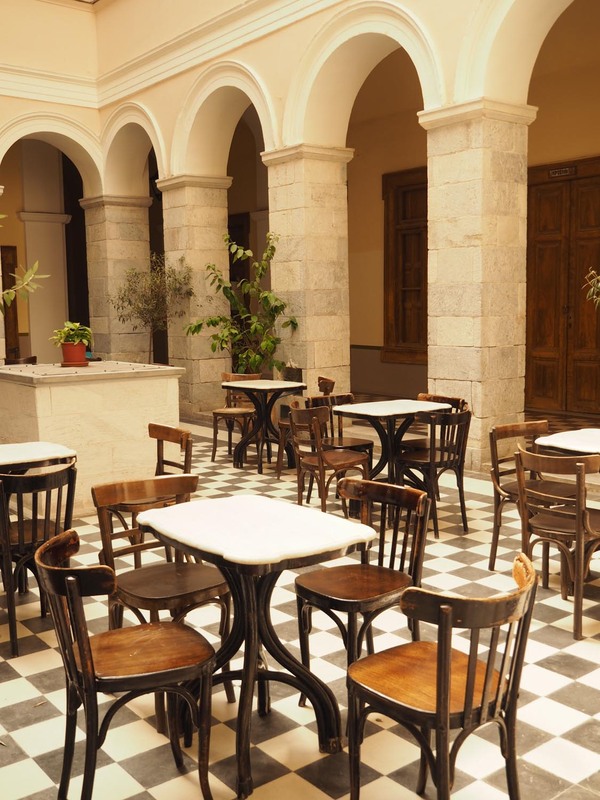 All events are free to the public, and the events take you to several interesting venues: the magnificent Apollo Theater, the University of the Aegean, the Hermoupolis Cultural Center, central Miaouli Square, and elsewhere throughout the charming town. This year’s festival takes place from Wednesday, September 21st, through Saturday the 26th. As the experienced traveler knows, this is the perfect time to visit the Aegean Islands- there is still plenty of Mediterranean sunshine and swimmable inviting sea, but the crowds of July and August have gone back home, and you can enjoy the beauty at a slower (island-like) pace. And there is no island like Syros- combining ancient history, neoclassical elegance, and that raw Cycladic beauty. The capital city Hermoupolis has a fantastic natural setting, like an amphitheater cascading down towards its harbor. The buildings are arranged along the hillsides, curving around the sea, affording great views. Even better, arranged this way you can see the buildings themselves to greatest advantage. The town was built during the Greek War of independence, in the early 19th c. and the architecture is magnificent. This was a rich port, rivaling Piraeus in significance, and the mansions here are elegant and grand. And there is plenty of color — along with the classic Cycladic choice of pure white, there is a range of rich pastel shades, deep pinks and ochres and brilliant blues. 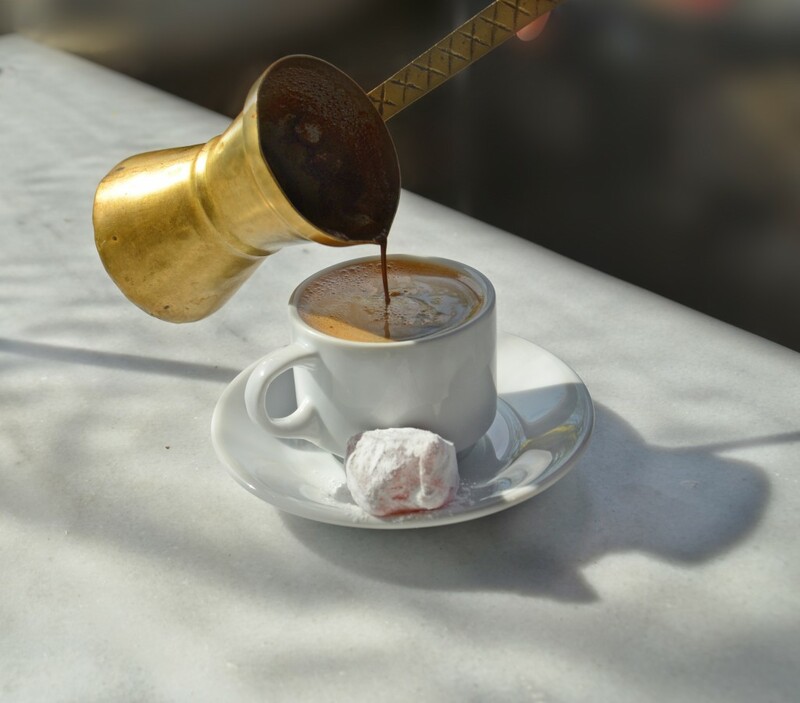 The central Miaouli square- where some of the festival events take place, is shaded with palms and lined with classic cafes. Kastri, an early Bronze Age settlement on the island, goes back to around 2800-2300 BC. This was one of the first settlements of Greece to be fortified with walls for protection. The settlement was discovered at the end of the 19th C, and also has some of the earliest traces of the use of a potter’s wheel. 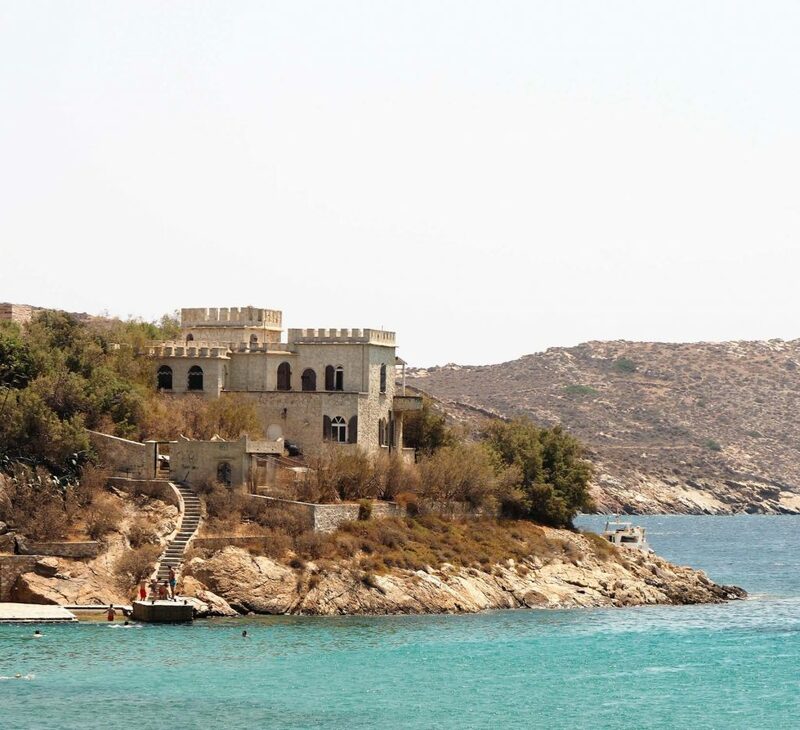 In antiquity, the island is thought to have been inhabited by the Phoenicians. 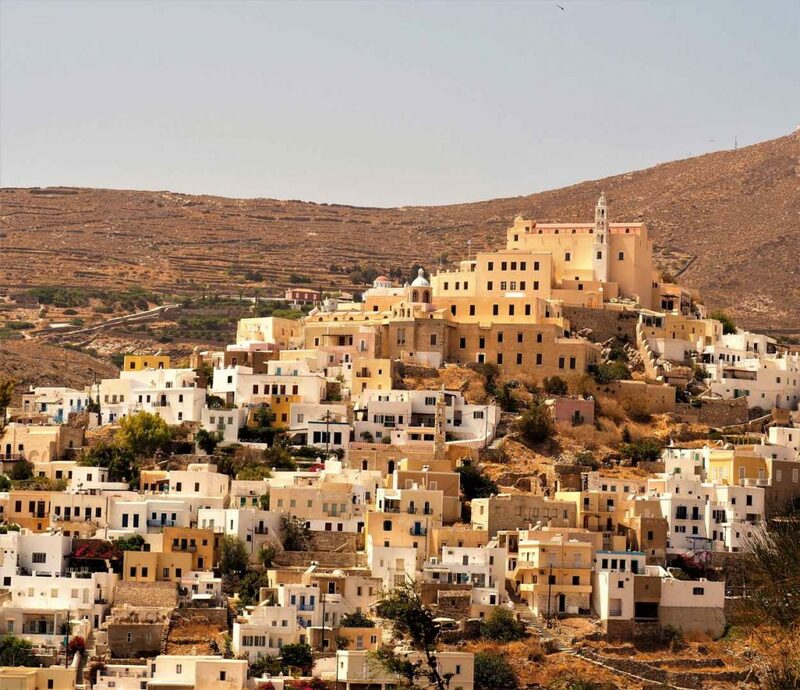 In the Byzantine era, Syros suffered from invasions of Pirates as did all the Cycladic islands. Like the other islands, it was also conquered by the Arabs, the Sicilians, the Venetians, and the Ottomans. After 1829, Syros became part of the newly founded Greek State and entered a period of prosperity. The strategic location and port attracted mariners and tradesmen. Shipbuilding, silk, leather and iron industries flourished, Culture followed wealth, as the town- between the 1820’s and 1860’s- was rebuilt in a neoclassical style. 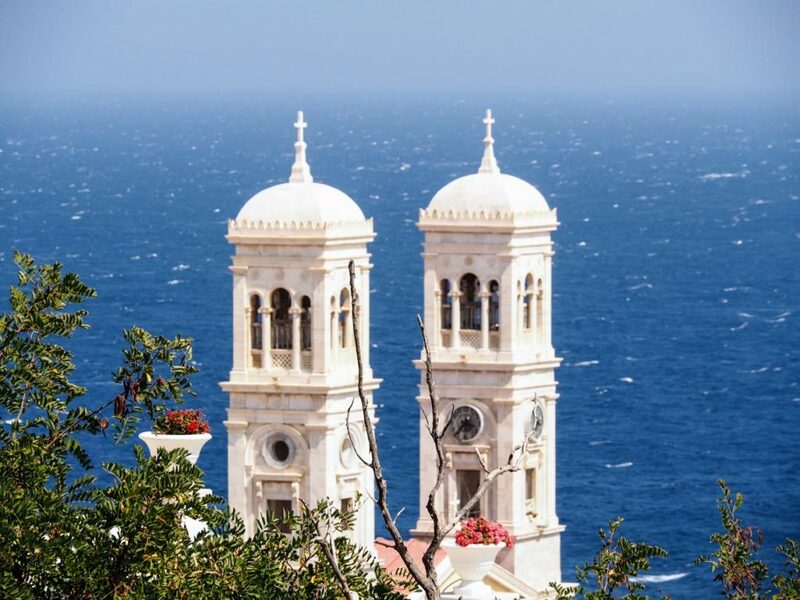 Over three centuries of Venetian rule starting in 1204 have given the island a strong Catholic heritage, which it retains to this day- on Syros, Catholics make up nearly half of the population, living in great harmony with the Orthodox Greeks. That makes this a great Island for Churches. The Dormition of the Virgin, across from the City Hall, was built in the late 1820’s and has El Greco’s 1565 painting with the same name as the church. The painting, done at the end of his Cretan period, doesn’t look like a “typical” el Greco, and it’s very exciting to see! The Church of the Metamorphosis is the island’s oldest. At the very top of Vrodado hill is the Church of the Assumption- the views from here are lovely. Ano Syros, the Venetian town, has the splendid Catholic Cathedral of St. George, originally built in 1200 and rebuilt several times since- the current church dates from the 1830’s. 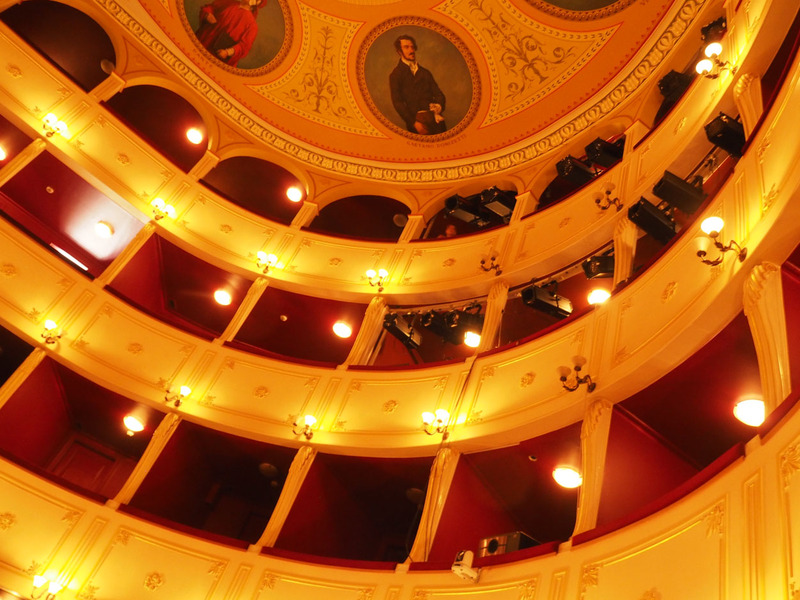 Probably Syros’ most well-known landmark, the Apollo Theater, is the showpiece of the Island. Designed by Italian architect Pietro Campo in 1864, it’s thought to resemble Milan’s legendary La Scala in miniature. The City hall of Hermoupolis with its grand staircase and façade, is one of the most impressive of all Greece. It was designed by the famous neoclassical Architect Ernst Ziller in 1876, architect of the Royal Palace of Athens (now the Presidential Mansion). Cheeses, of course, are a specialty. San Michali- a Parmesan-style cheese, is particularly popular. And try the slightly spicy cured meat “Loutza”. Have you been to any of the Cycladic Islands? 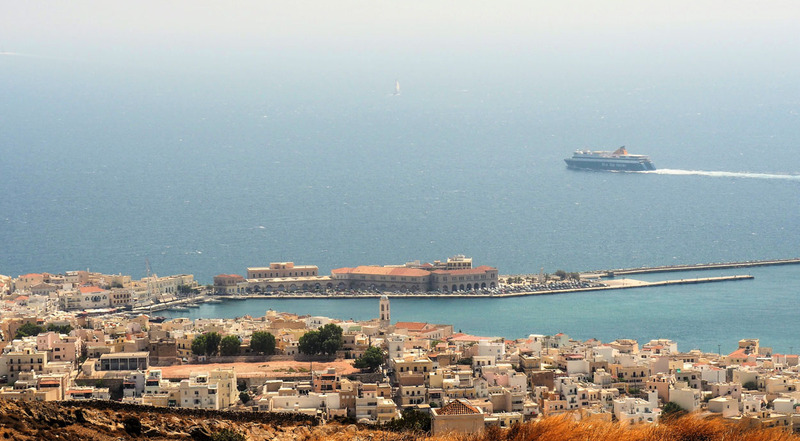 What makes Syros different?